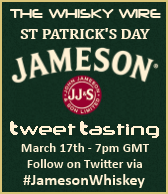 St. Patrick’s Day, and what better way to celebrate all things Irish, than with an exclusive, invite only Tweet Tasting, through Steve Rush (@thewhiskywire). Unfortunately Steve was taken ill and the lovely Alwynne Gwilt (@themisswhisky) stepped into the breach and held a wonderful tasting. This is a great opportunity for us to have an official tasting of what delights Jameson (@jamesonwhiskey) have to offer and our first Irish Whiskey review. On tasting tonight is: Jameson Original, Jameson Gold Reserve, Jameson Select Reserve and the very special Jameson Rarest Vintage Reserve. See what Jameson has to say about each of these below. 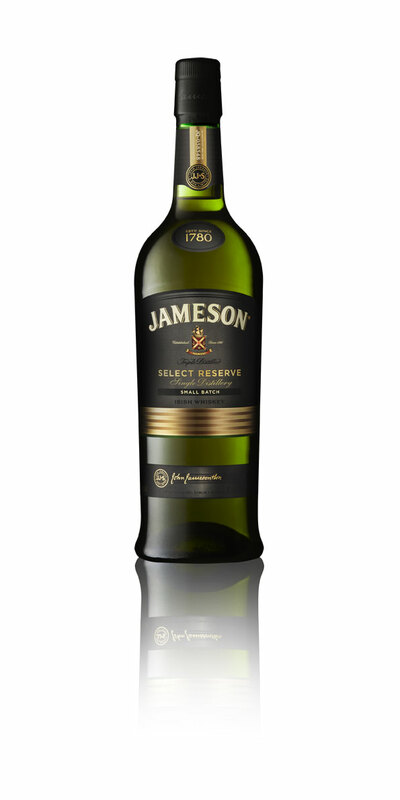 As the world’s number 1 selling Irish whiskey, it is vital to us that we continue the tradition of superior whiskey making laid down by John Jameson in 1780. We make sure that Jameson Irish Whiskey is always as perfect as the day John released his first cask from his Single Distillery – triple distilled, twice as smooth and perfectly balanced. Taste: All the creaminess and honey sweetness come together to create a taste sensation of spicy character, a smooth complex whiskey experience. Nose: Rich and full, developing into the succulent sweetness of exotic fruits like nectarines, apricots and papayas. Taste: A burst of flavours combines to produce a creamy, luscious taste experience. The special fruity sweetness from the grain remains consistent, while the waves of vanilla, toasted wood and spices roll through from the pot still whiskey and flame charred barrels. Nose: A real full-bodied aroma. Initially sweet with ripe fruit notes of melon, bananas and dark fleshy plums. The unmistakable pot still spicy character combines to give hints of treacle, cinnamon and liquorice. Taste: A mouthful of flavours. Mellow sweetness and toasted wood are complemented by fruit richness characteristic of the port casks. A touch of creamy dairy fudge and dark chocolate add to the complexity. Finish: A tantalizingly long finish which covers the spectrum from the sweetness of fruit, through the spices to the unmistakable note of barley, where it all began. 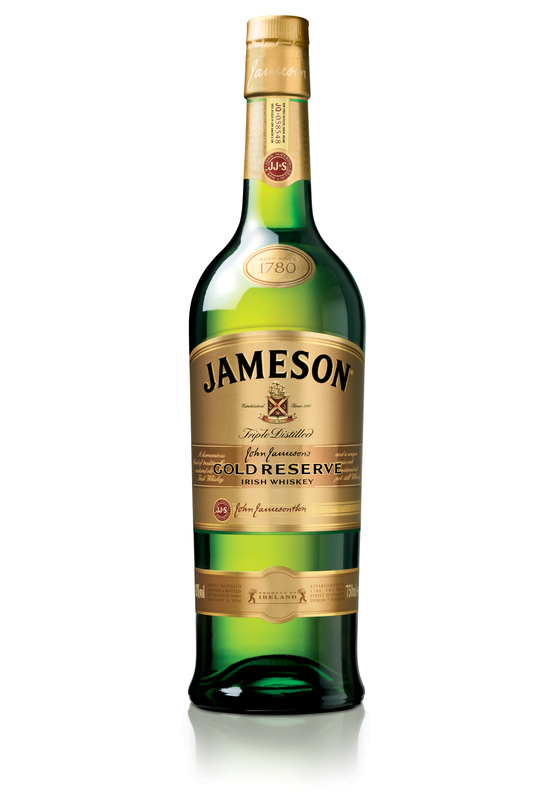 Now you’ve seen what Jameson said here’s our take on it. I tweeted as myself (@kirstyclarke29) and Stewart (@stewartcraigon) tweeted for the Corner (@whiskycorner), so sit back, grab a dram and enjoy. Nose: Sweet toffee apple and warm hay with gentle spices like cinnamon. Next fresh damp wood, and, as it opens up in the glass sweet malted cereal notes, and sage infused milk. Palate: young & hot, fiery with heavy acetone notes, evolving quickly into a vanilla fudge sweetness, baked apples with vanilla pods and honey with a touch of cinnamon. Next warm orange hits the front of the tongue and then heather and oak combine. Finish smooth but all too short, very moreish, with the sweet notes lingering. 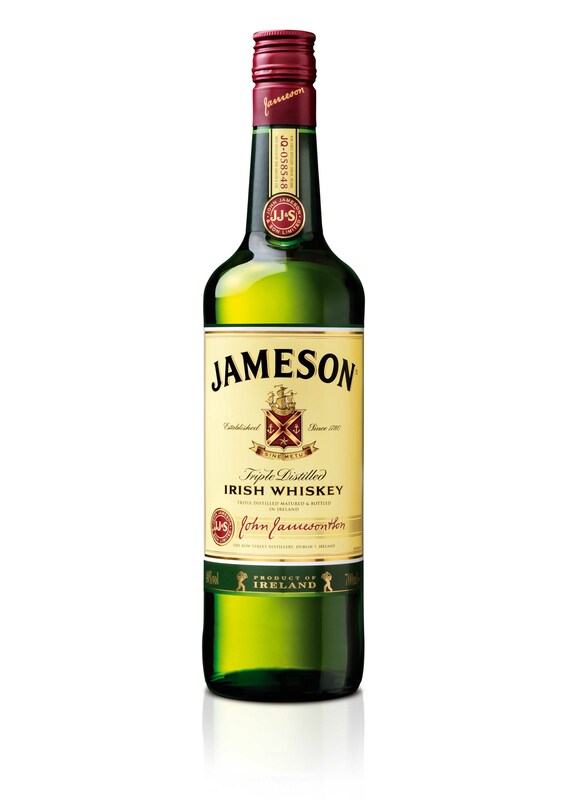 Available online from the Jameson shop at a cost of €29.00. Nose: This dram is sweeter still, lovely golden syrup sponge pudding, pineapple, citrus fruits and a hint of mango. Next up is cinder toffee which combines the burnt sugar and that lovely burnt baking soda note. A richness with hints of almonds and hazelnuts is last to emerge. Palate: Oily, rich, sweet yet spicy with delicious notes of rich sweet cherry and dark bitter chocolate. The hazelnuts on the palate come forth but are now toasted. A fragrant, bitter taste of toasted pine nuts. Finish buttery and smooth, sweet milk and biscotti, almost chewy. Nose: Fruit everywhere, tropical notes, lilt, fruit salad sweets, the hot sun on a ripe pineapple, however there is a slight acid note, almost like spoiled milk, not necessarily unpleasant, this is fleeting before overripe bananas with a hint of cheap red wine come through, twisting into caramel and cocoa, like Palmer’s cocoa butter. Finish Longer, slightly drying and coats the roof of your mouth. Palate: Floral and delicate, rare orchids, rose petals, peaches, papaya and honeyed mandarin mingle with an edge of lychee, almost perfumed. Next up is buttery popcorn, ginger and a little chilli, fresh hot buttered toast and a little white pepper before the tropics march back in and make a welcome return. Finish long and satisfying, the perfume notes are last to taper off. Nose: Sour yogurt, fresh yeast and then autumnal fruits in abundance there are red currants, black berries picked fresh from the woods and tart cranberries with plums plenty of black peppercorns wrapped up in a hint of musty velvet. There is a slight nudge of passion fruit and mango with highly polished furniture coupled with burnt sugar with a hint of ash and damp leaves. Palate: Bitter and drying, with burnt oak, toasted coconuts and freshly ground coffee beans. Warm beeswax and burnt toast, evolving to sweetness with pancakes and maple syrup. Just when you think you have this dram figured out in comes a meaty depth with a smoky, salty hint of good pancetta and thyme. The vanilla finish is long bringing in pears in red wine, Christmas spices and a rich plum and date jam. So my favourite of the night, it’s a tough one to choose to be honest. I was surprised at just how good the whiskies were, this was my first taste of the Irish but it won’t be the last. If you have plenty of money then you could do worse than chose the Rarest Vintage reserve, however if you want something less pricy then the Gold Reserve was a lovely easy drinking dram. Palate: Warming, hot honey from the spoon, citrus still there at the beginning, before disappearing quickly. Sweet toffee coating the mouth followed by some ripe tropical fruits, finish concludes quickly. Palate: Spicy, dances about on the tongue with fantastic sweetness before mellowing down to a creamy goodness. The finish is long and creamy, then turns slightly bitter, before stopping completely. Nose: Very malty, tropical fruits explode everywhere, slight spiciness. Not enjoy this one as much. Palate: Spices ahoy, truck load, rebounding off different types of fruit, sweet pears, stewed apples. More fruit, little bit of tropical, not overpowering, the tropics succumb to a slight drizzle of honey. The finish is gorgeous, very silky and smooth. Nose: punchy & meaty, slight fruitiness, like cherries soaked in cola, nice musty leather. A large hit of menthol mintiness, capitulates into a sweet toffee caramel mess, fruits try to force their way in. Palate: Fruits burst through, plums, red berries of all sorts, then the next layer hits you, sweet chocolate with lashings of cream soda follows the chocolate, then the finish hits, creamy and fruity. Perfect dram. So my favourite of the night, all the whiskies were of great quality and so easy to drink. The one that ticked all the boxes for me was the Gold Reserve, absolutely gorgeous from first nose to last drop. The nose was wonderful and gave a great introduction into what was going to follow on the palate, which itself was what I look for in a whisky, spicy and creamy with a long satisfying finish.